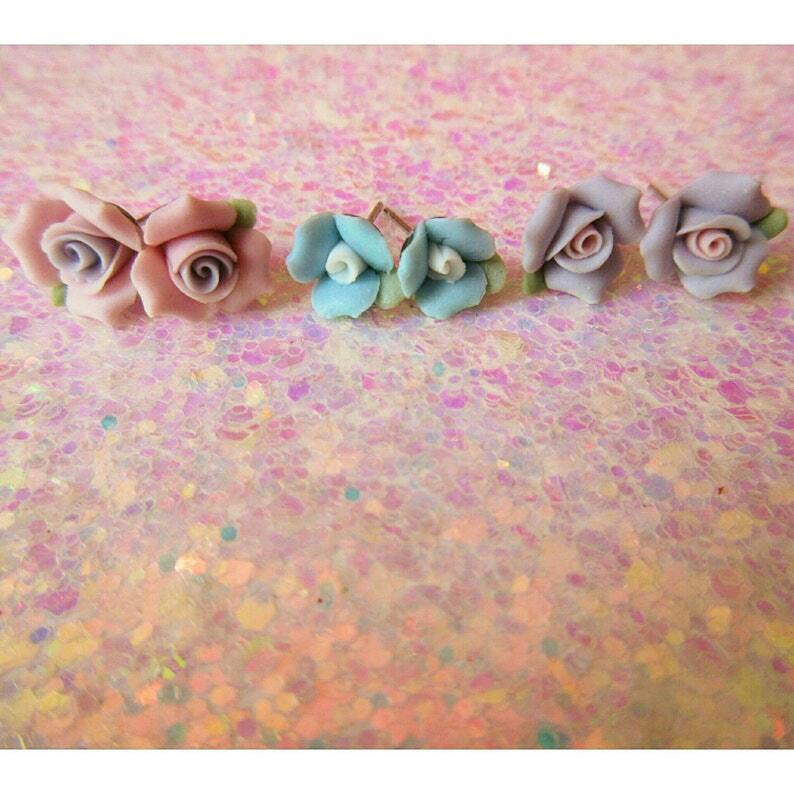 Lovely, delicate vintage porcelain rosebuds mounted on surgical steel posts. Classically beautiful and versatile, available in lavendar, pale pink or robins egg blue. Please specify color choice upon checkout.